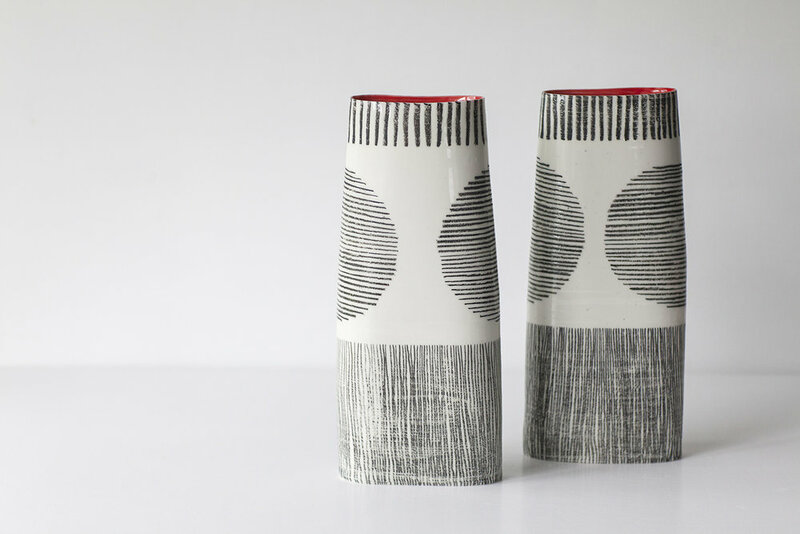 "I would like you to enjoy my pots – whether you live in a contemporary modern home or in a traditional cottage, the work should sit comfortably. You touch it, clean it, fill it or just look at it. May it be a future heirloom with a timeless quality, that becomes part of its surroundings – to offer calm and space for contemplation to the viewer." 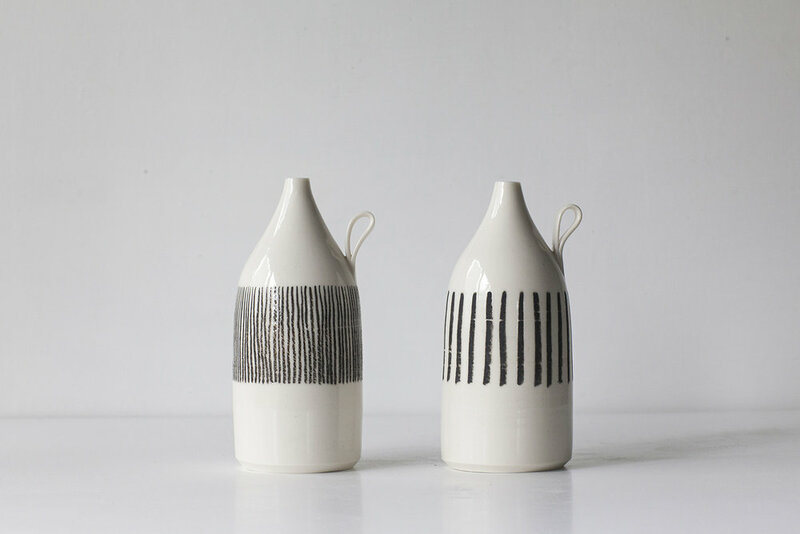 My name is Katharina Klug – I am a potter, artist, business woman, maker, designer depending on the time of day. The studio and my life are now based in Cambridge UK. Originally, I was born in Austria and brought up to work with clay. My mother Annamaria is still making and running a Pottery in the village of Stainz. Since building a workshop and starting my practice in the UK, many exciting opportunities came my way. And now year by year I come closer to make the porcelain vessels I dream of. 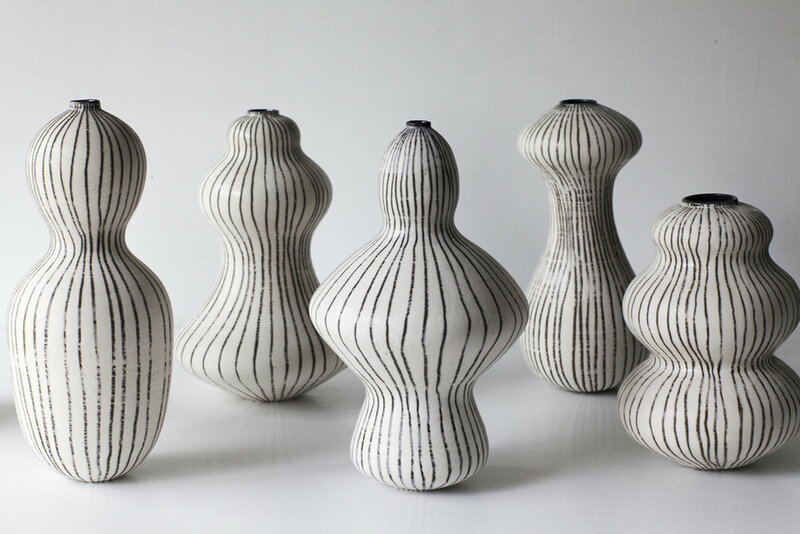 My work as a ceramic artist focuses primarily on the exploration of shapes on the pottery wheel. This tool allows me to find endless variations on an old theme: the vessel. When working on the wheel I play with proportion and detail to craft a visually pleasing object. Starting with a lump of clay and transforming it into a finished piece using only my hands fills me with pride. I feel a continuous drive to improve and learn, to hone and grow my craftsmanship. While striving for perfection in the shape of the vessel, I deliberately embrace imperfections in my surface pattern designs. I draw freehand onto the form using my trademark crayons. These hand-drawn lines make the work lively, rough, immediate and unique and preserve the moment of mark- making. I enjoy how the lines follow the curves of the pot, coming together or widening. Inspiration comes from little snippets of observation in my environment. Lines are jumping out at me in almost anything – stripes on cloth, wires and cables, plants and grasses, architecture and streets to name a few. The other integral part of my work is colour. My work is marked by strong opposites, not only between shape and pattern but also between the inside and the outside of my pots. Using my own glazes based on recipes which I developed and refined over the years, I create high contrast pieces. Black versus white, monochrome versus colorful, and glossy versus matt are central throughout my work.